MSC Cruises has announced a collaboration with environmental compliance technology creator Total Marine Solutions, following successful software trials of ‘Ocean Guardian’ aboard MSC Divina. 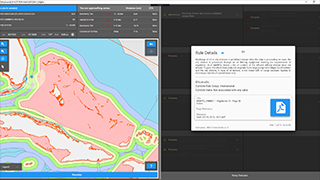 Ocean Guardian is a tool for cruise lines and ship operators to immediately access with certainty the latest environmental regulations. By 31JUL, all MSC Cruises ships will be equipped with it. While the most widely applied environmental regulations are specified in the International Convention for Prevention from Pollution from Ships and its Annexes (MARPOL), many countries across the globe apply their own rules in waters within their jurisdiction. These local regulations are modified frequently, making it difficult for ship operators to stay abreast of the most up-to-date rules and guidance. While MSC Cruises’ policy prescribes to always follow the most stringent local or international regulations, Ocean Guardian simplifies the process and ensures accuracy regarding the applicability of international, national, or regional environmental regulations. On the MSC Cruises fleet, the Ocean Guardian technology is located on the Navigation Bridge, in the Engine Control Room of the ship and in the MSC Maritime Support Centre in London, where it is monitored 24/7. The software produces a sound when certain perimeters are within range, alerting deck officers on duty.